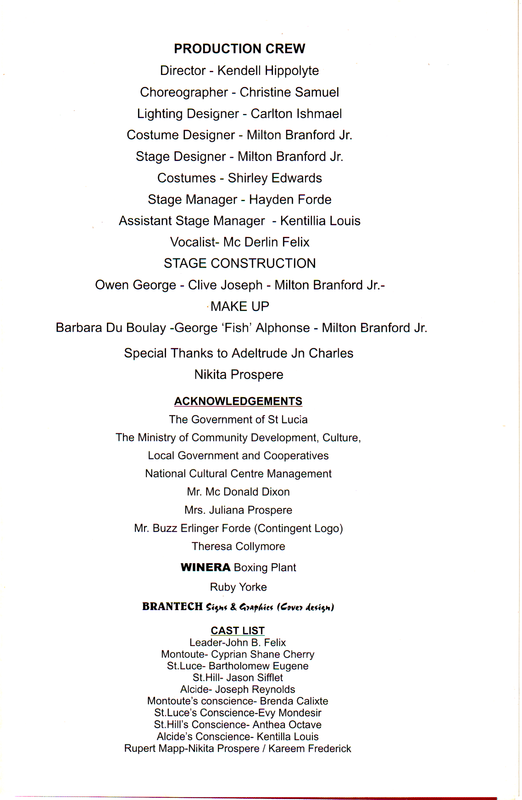 Produced in 2000 for performance at CARIFESTA 2000 held in St Kitts Nevis ,the play is a director's dream and challenge. Because it is a mixture of realism and fantasy, set on earth and in Purgatory, it lends itself to a variety of staging possibilities. The music and movement can be continually recre­ated iways which maintain the element of folk tradition while incorporating new influences. The language too has a varied texture, ranging from imagistic verse to down-to-earth country talk, to the formality of courtroom argument. There are challenges: the story is told four times and this had to be done in a way that the repetition has a cumulative impact without actually feeling unnecessarily repetitive. The long monologue at the end of the play is a test not only for the actor but for the audience's powers of attention. Malfinis remains, for all that, a singular play not only in Roderick Walcott's work but also in Caribbean dramatic literature. 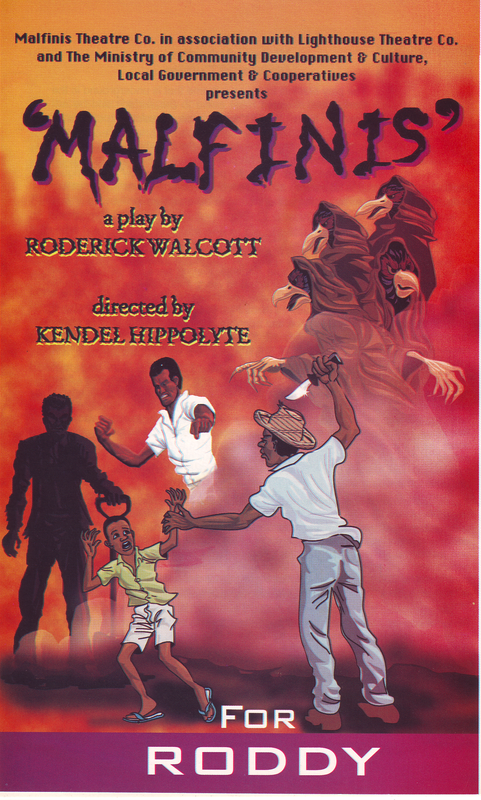 It is one of the few Caribbean plays in which the subject of obeah is treated with a degree of seriousness, even dignity. And it raises questions about the nature and scope of evil which are not easily answered.